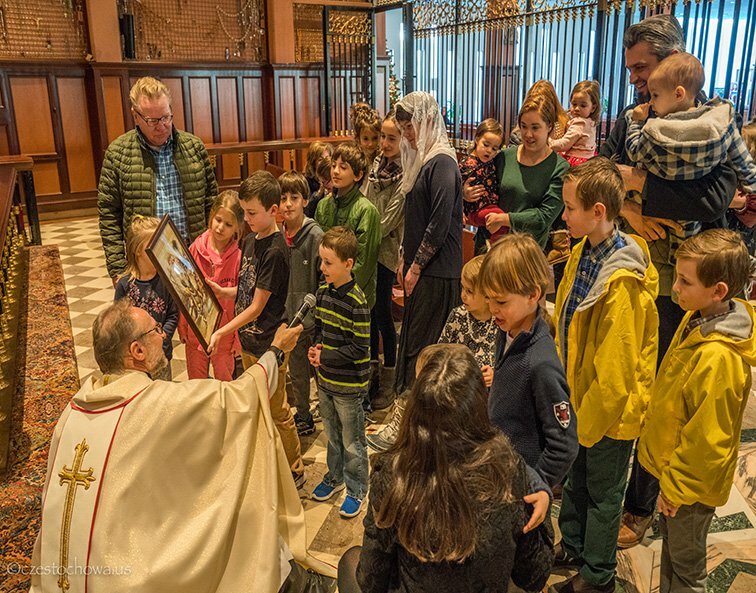 Blessing of children in honor of St. Paul the First Hermit took place on Sunday, January 20th after the 11:00 am Mass and 12:30 pm Mass. All the children have also received candy, right after the blessing. St. Paul is a patron saint not only of Pauline Fathers & Brothers but also of all the children. Fr. Krzysztof Drybka OSPPE, Prior of American Czestochowa, celebrated the English Mass and the Polish Mass was celebrated by Fr. Tadeusz Lizinczyk OSPPE, Provincial of the Order in USA, as well as Fr. Mariusz Tabulski OSPPE, Member of the General’s Council of the Order from Czestochowa Shrine in Poland.